Regardless of which type of structure you own, it is important to note that there are restrictions in place when building an extension. Generally speaking, you can extend a normal property with a single-storey structure that is no more than three metres in length, without the need to file for planning permission. 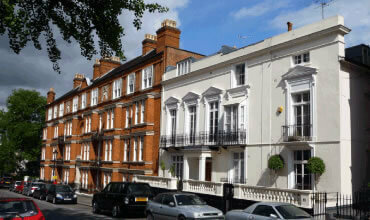 However, the same cannot be said for listed properties, or those that fall within a designated conservation area. In these instances, you will need to consult with local authority experts or refer to the government’s Planning Portal to seek out further information and make an application for permission to extend your property. If you want a more informal chat, consider reaching out to the Society for the Protection of Ancient Buildings, which is an independent group that can help to inform your period property extension plans. One of the biggest challenges associated with extending a period home is the use of materials, depending on the era in which your home was built. In the case of Georgian and Edwardian homes, it may be very difficult to exactly replicate or extend the existing design, but you must strive to adhere to these principles wherever possible. You may have sliding sash windows in your house, for example, and wish to install the same fittings in your extension. This should be achievable owing to craft and skill of our team but you should always apply the principle when thinking about other traditional materials, such as line mortars, renders and hemp: all which were commonly used in period structures. In terms of any structural work, it may be advisable to create an independent extension that has a minimal number of connections to the main house. This ensures that the extension can be reversed in the future, should you ever look to sell the property. On a final note, do not underestimate the importance of garden or courtyard space to your period home. This is easy to overlook, but this can serve as a natural extension of your living space and entice potential buyers in the future. In this respect, investing in a period extension may not be the best idea, particularly if it restricts your external garden space without adding much space to the existing property.